I mean, what's not to love?? 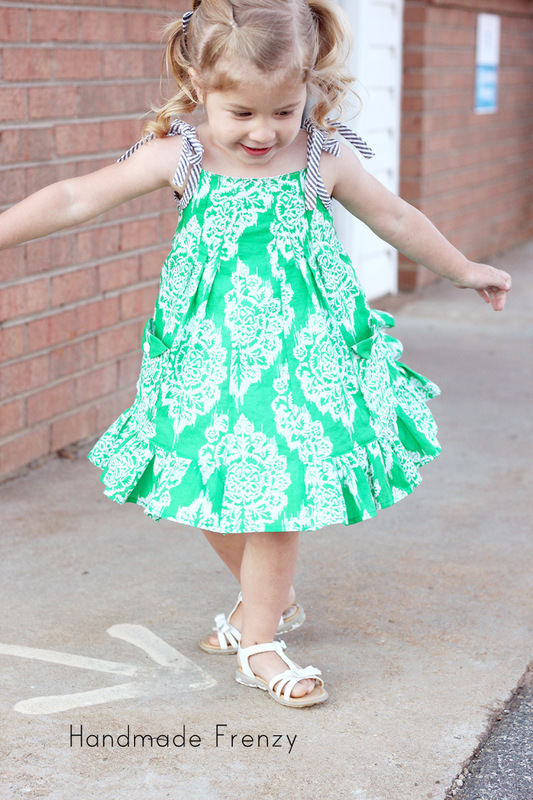 It's girly, it's twirly, it's GREEN, and there's stripes involved. A combo of mine and my girl's favorite things. 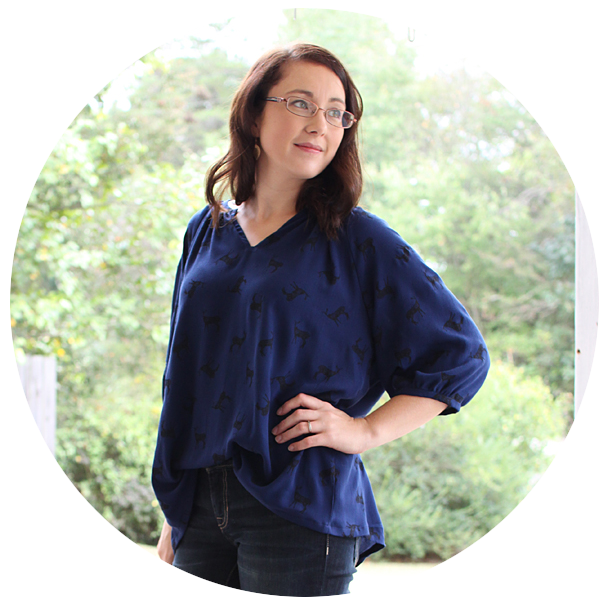 Once again Hayley from the Mouse House has completely outdone herself with not one, but TWO pattern contributions to the Wanderlust Collection. 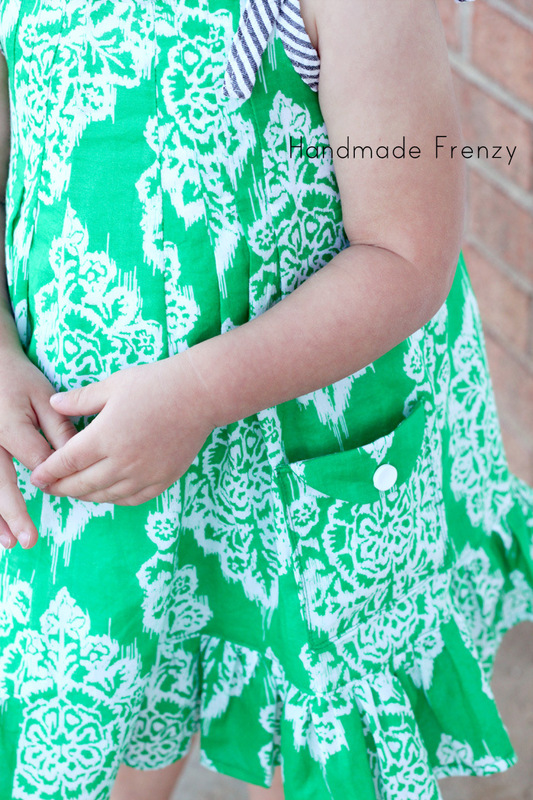 I'll be reviewing the shorts pattern tomorrow, and I love it just as much as the dress! 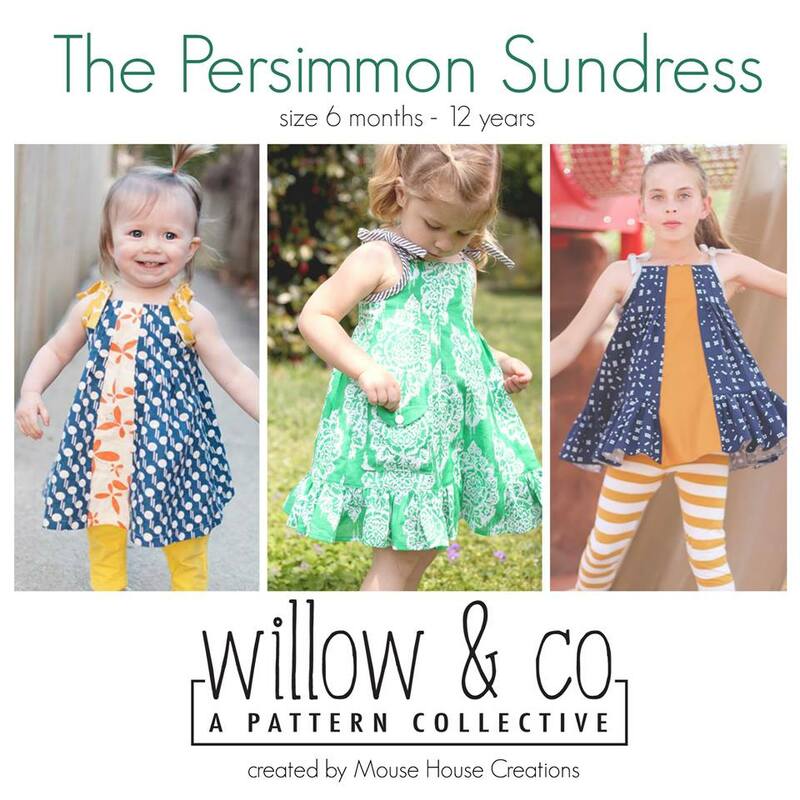 As you can see in the photo above, there are several options included in the sundress pattern, including a tunic length. 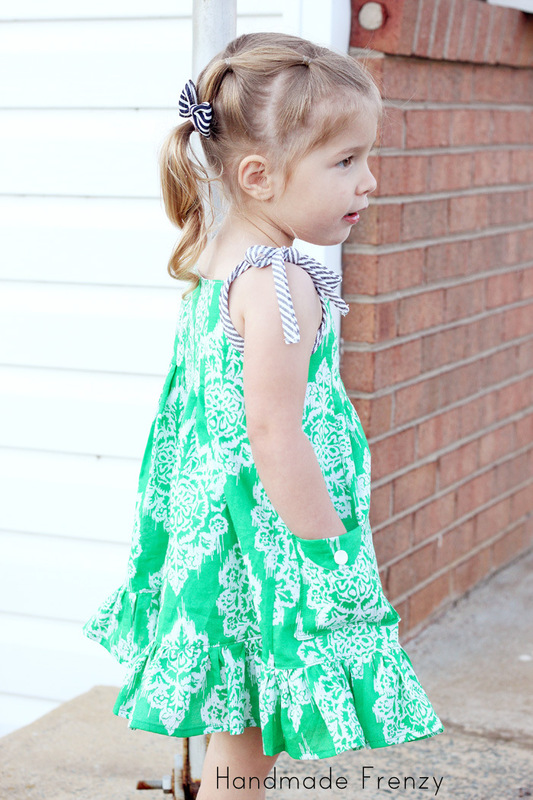 All the options and possible combinations are just as cute as can be. One of my fave options is the patch pocket with a flap. Seriously. How cute is it!? It's also super handy for holding bribes Smarties. The buttons I chose to use just so happen to look pretty much EXACTLY like a Smartie, which thrilled both of my kids to pieces. They've been calling them O's "Smartie Buttons". 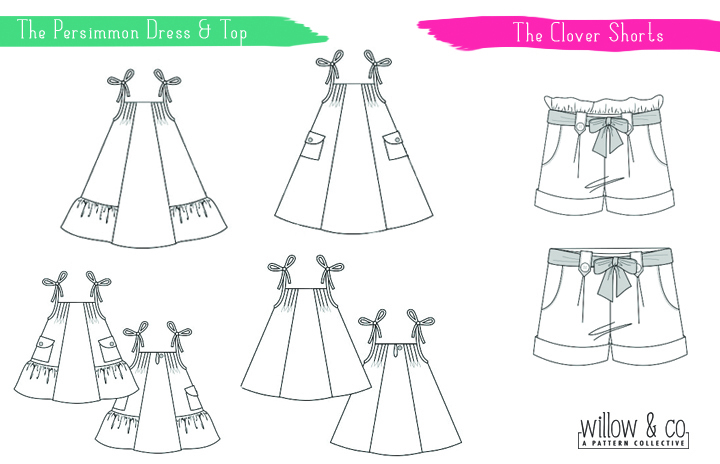 The dress features 6 pleats, front and back (12 total), which gives it a lovely full A-line shape. There is also a center piece, front and back, as well as separate ruffles along the bottom, which give HUGE opportunity for color and pattern blocking. For this dress though, I chose to keep things simple and used all the same fabric except for the shoulder ties and I love, love, love this look too. I love the fullness of the dress, but at the same time it is very light and airy. Just the way a sundress should be. 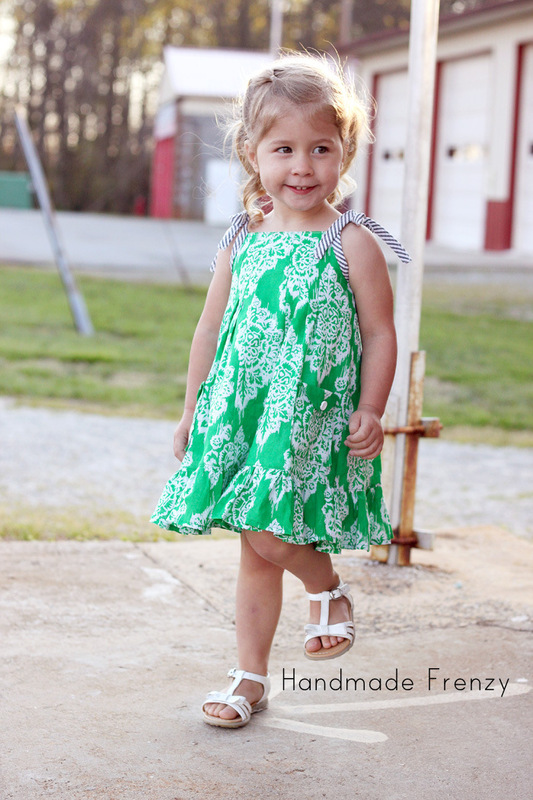 This girl has started to twirl for every photo shoot we do. It's become a "thing". I love it. 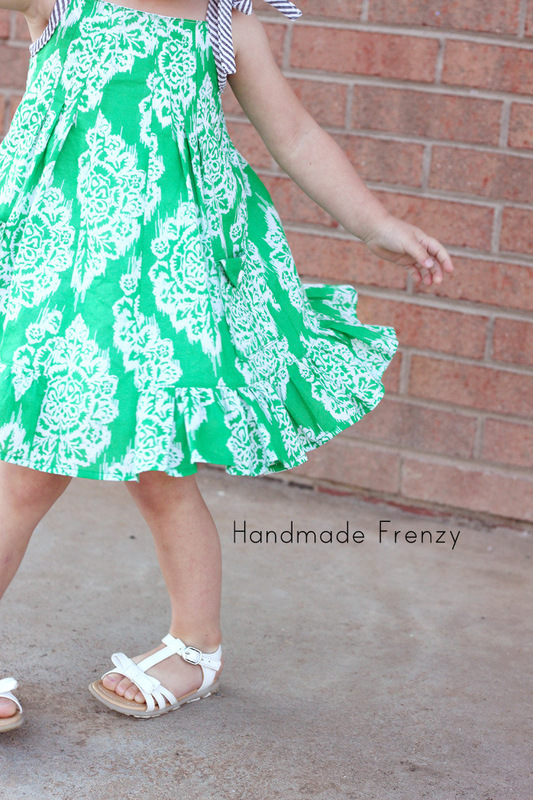 And there is the perfect amount of twirl in this dress. 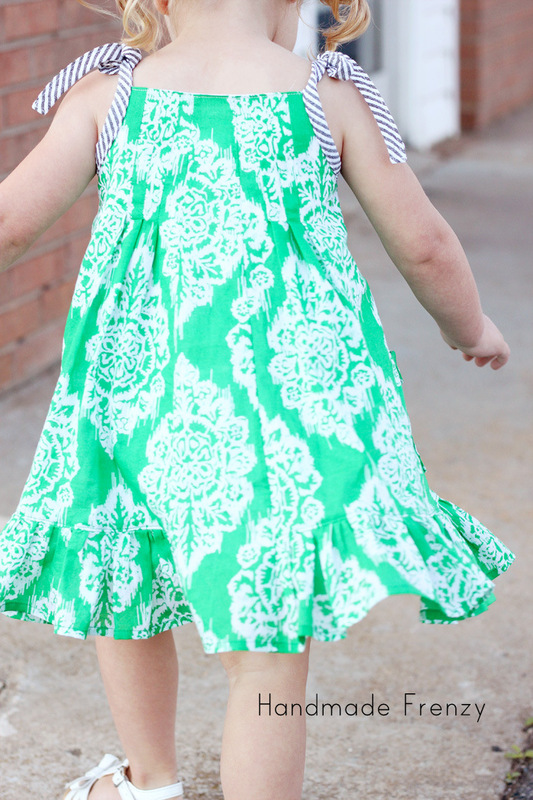 We both just absolutely love this dress, I can't wait for some real summer weather to wear it all the time! 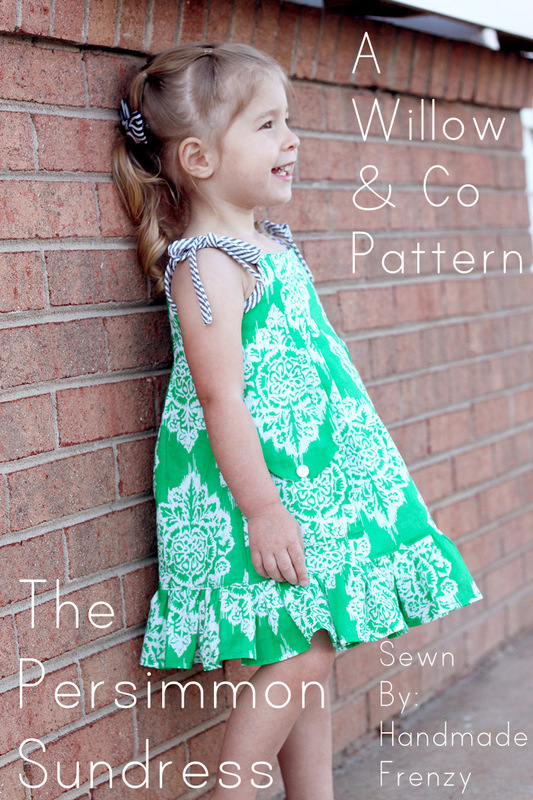 One more Willow & Co Pattern test to show tomorrow! great pictures! love the color, and those pockets are adorable. 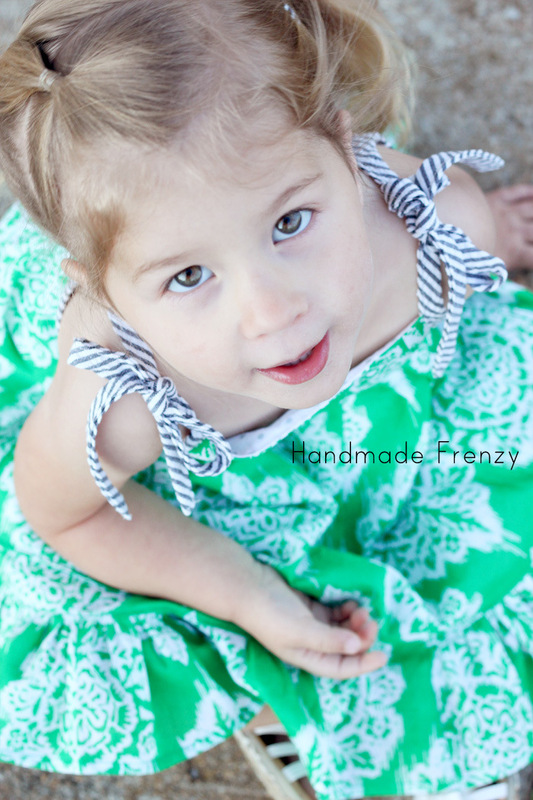 Thanks, had to try twice to get the photos :) This is my fave color, my kids both have tons of it in their wardrobes! Oh my goodness, it's adorable! 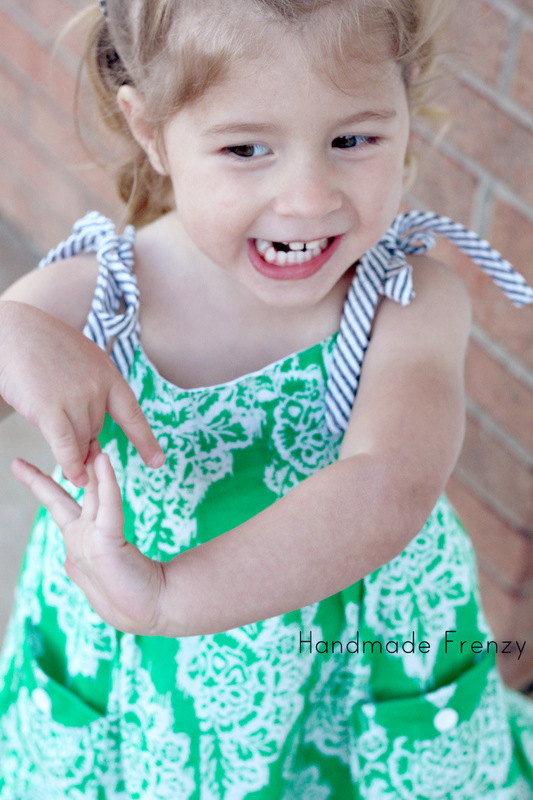 Hayley did an amazing job with the pattern, and you did an amazing job sewing it up! I agree, Hayley did awesome!! And thank you! Heidi, I'm totally in love with your version! And how cool is it that you're on the pattern cover!!! Way to go!!! Such a pretty version! 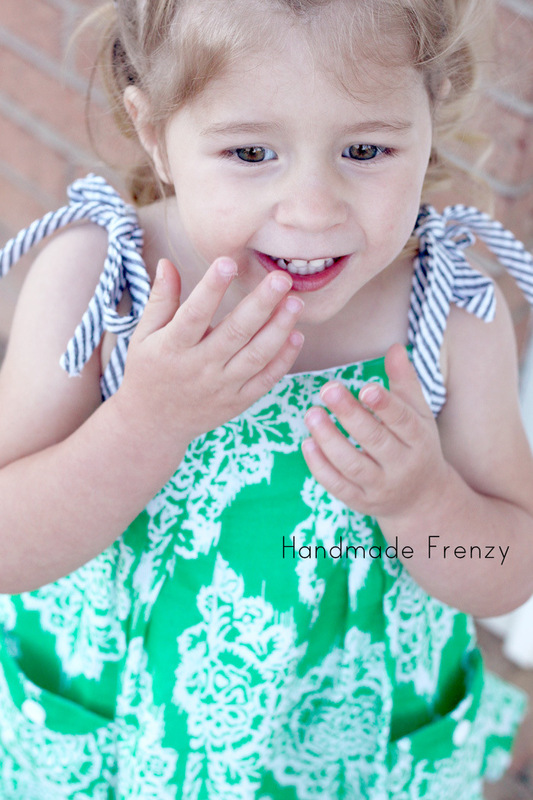 Love the green and stripes!